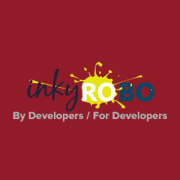 inkyROBO is a renowned online T-shirt designer tool provider, based in the USA. We have a team of adroit professionals who are well-versed with various technology aspects and have the capability to build and integrate the high-end online designing tool to varied business websites. Our business strategy and workflow comprise renowned standard; hence, it is easy for other organizations to do the business with us. In order to aid the clients in administering the designing tool, our technical support is round-the-clock active. Thus, our clients can reach to us anytime.